Filling up his third passport and working as a Partner at PricewaterhouseCoopers is a dream that's not out of reach for 29 year old Charles Sturt University (CSU) graduate, Mr Guy Flynn who began his studies to win a bet. Growing up in Bathurst NSW, Mr Flynn had applied to study Bachelor of Business (Accounting) initially to prove to a former colleague that he could get a distinction in the Introductory Financial & Management Accounting subject. "As my studies continued," Mr Flynn says, "I realised that job prospects are extremely good in accounting and finance, and once you establish yourself and gain your Chartered Accountant qualification, the financial rewards will soon follow." Mr Flynn excelled in the course, while also enjoying the lifestyle a small university campus can offer. "One of my favourite university memories is of my final Accounting Theory exam. The entire class met down at the pub to have a beer afterwards, including our head lecturer. When I tell this story to work colleagues and clients alike, they are astonished that the class had such close, sociable interaction." According to Ms Kay Plummer, acting head of the School of Accounting, CSU's Bachelor of Business (Accounting) students specialise in preparation for a career as a professional accountant. "This specialisation in the Bachelor of Business covers theoretical and conceptual accounting matters and teaches the accounting skills necessary to make graduates employable in a variety of settings," Ms Plummer said. After graduating, Mr Flynn spent a year as an auditor at The Morse Group in Bathurst before applying for a graduate position with PricewaterhouseCoopers (PwC) Canberra in 2005. "Feedback from my interview was that my grades from CSU got me the interview and my work experience both during and after my degree secured the position." Mr Flynn was promoted to Manager, completing a short term secondment to the London office in 2008. 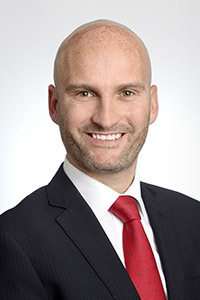 Upon his return to Australia the firm offered him a transfer to PwC London in 2009, where he plans to be for the next five years. "The best things in my career right now are the challenges I help my clients through on a daily basis, and nurturing young talent in the firm to achieve their best. Seeing your clients and colleagues achieve their greatest potential is very rewarding. Living in London is a bit different to growing up in Bathurst and opens so many doors culturally. I can jump on a train on a Friday afternoon after work and be in central Paris by 7pm. The pay packet also helps the lifestyle choices I make, which is to travel as much of the world as I can, meeting as many people along the way." Mr Flynn on one of his many travel adventures. In five years Mr Flynn aims to have travelled extensively throughout Europe, Canada, America and Africa. "I would also have brought my family and friends over to Europe for many holidays, allowing them to reap the benefits of having me live and work in London." Career-wise, he plans to be a Director with PwC London, looking at the path to work as a Partner. "I will be at the cross roads of either staying in the UK or returning to Australia, which will be impacted by many factors, all of which are unknown at this stage to be able to judge. I may even potentially look to take up a position as a lecturer as CSU Bathurst!" Ms Plummer remembers the day she joined Mr Flynn and his fellow students in the pub. "I remember having a beer with Guy and his class after the final exam, we all enjoyed the learning and life experiences a small campus can offer. Guy has used his leadership and accounting skills to give himself a great personal life and career. "Filling up his third passport and working as a Partner at PricewaterhouseCoopers is a dream that's not out of reach for 29 year old Charles Sturt University (CSU) graduate, Mr Guy Flynn who began his studies to win a bet.